This Light Award is sponsored by Great Mind Power Books and processed through Kiva.org. Thorn, 57, appears the first on the right in the photo. She is married and lives with her beloved husband and five children in a village in Prey Veng province of Cambodia. Since 1990, she and her husband have been earning income from growing rice to support the family’s living. This couple typically makes around 20USD per day. 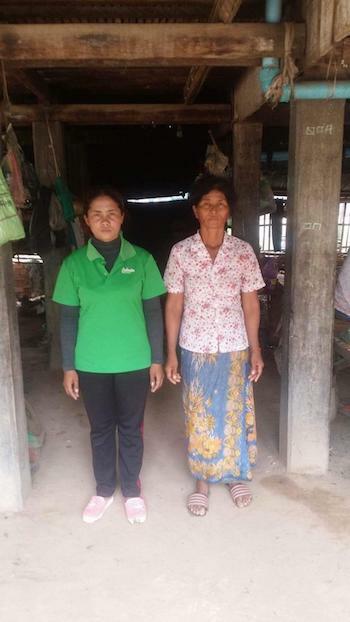 Due to the shortage of money, Thorm now leads a group of two members in applying for a group loan. She would like to use her share of the loan to purchase natural fertilizer and pesticides for farming. She believes that this loan will allow her to boost her crop yields and get higher profits. With the profits from this season’s harvesting, she wants to enlarge her farmland, build a new house and help her children to get higher education. Congratulations to Thorn's Group in Cambodia!